Bonn, 27 July 2016- The ornithological world has lost one of its most inspiring benefactors with the death on 21 July of Hans Lukas “Luc” Hoffmann, the renowned conservationist and philanthropist, who has passed away at the age of 93 in his beloved Camargue. 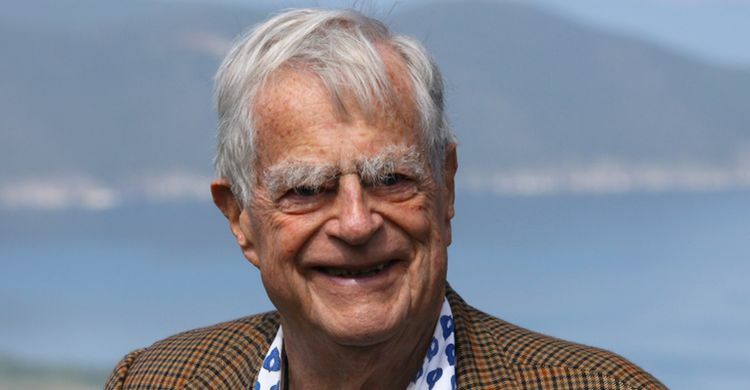 Born in Basel, Switzerland in 1923, Luc Hoffmann developed an interest in bird-watching at an early age and published his first article on wader migration while still at school. But Luc Hoffmann was not only a keen birdwatcher, he was a man of passion, of great conviction and always ready to engage in dialogue. As Director of the International Waterbird Research Bureau (IWRB) then based in Tour du Valat in the 1960s, he strongly supported and developed midwinter international counts of waterbirds in the Black Sea region and the Mediterranean. The results were immediately applied to conservation through the Ramsar Convention, Luc being one of the main driving forces behind its establishment. He went on also to co-found the World Wildlife Fund (WWF) along with Peter Scott, Julian Huxley and Max Nicholson among others. Luc Hoffmann always sought to ensure that competing ideas and interests could be expressed at international fora but stressed the absolute necessity of having a sound scientific basis. He was also a great advocate of preserving nature to benefit human beings and as a way of securing sustainability. In 1947, Hoffmann bought an estate in the Camargue where he established the Tour du Valat biological research station in 1954. In 1994 he set up the MAVA Foundation which gives grants for conservation projects across the Mediterranean, the Alps and West Africa. Although he focussed much of his efforts on action to the Camargue and the Mediterranean Basin, Luc Hoffmann also worked extensively in Africa, from Mauritania to Madagascar as well as in other corners of the world. Under his leadership, the Tour du Valat always worked in a spirit of cooperation with a whole range of other bodies and agencies. “When France proposed the creation of a Technical Support Unit for the African initiative of AEWA in 2012, the Tour du Valat immediately joined forces with the ONCFS and the National Parks Directorate from Senegal in hosting this unit with enthusiasm," said Jean-Yves Mondain-Monval, head of the TSU. In this Biological Station Tour du Valat which Luc had created and led, numerous international conservation projects have been developed and carried out, in particular through the force of his humanity and his ability to communicate his enthusiasm. Luc loved indeed being with his family and friends in many extraordinarily festive events, which nonetheless also proved so productive! “Luc Hoffmann offered generous support to a great many people. I had the chance to stay for short periods at the Tour du Valat Biological Station during my PhD to discuss my work with the scientists there and explore the fantastic library. In the subsequent years, I always felt like a member of this great family thanks to the hospitality of Luc. He was a visionary and made the best use of his contacts to promote nature conservation in the world,” said Jacques Trouvilliez, Executive Secretary of UNEP/AEWA. After the passing of his wife and of many of his collaborators and friends from the early adventures of the station (Heinz Hafner, Alan Johnson, Jean-Paul Taris to name just a few), Luc Hoffman too has now left us after an extraordinarily rich and creative life dedicated to the conservation of this nature that fascinates us all. To his family and relatives, who helped him during his lifetime and have resolutely decided to continue his work by following the path he has traced, we extend our sincere condolences. La Camargue nous protège du réchauffement climatique"